56 Gram Silica Gel Packet (Tyvek®) is used to absorb moisture and prevent Mold, Mildew, Corrosion, and Fogging. Silica Gel Desiccant 56 Gram Tyvek® Packet (2 Unit) - A unit of Silica Gel is a trade term equal to 28 grams and does not represent the number of packets you will receive. 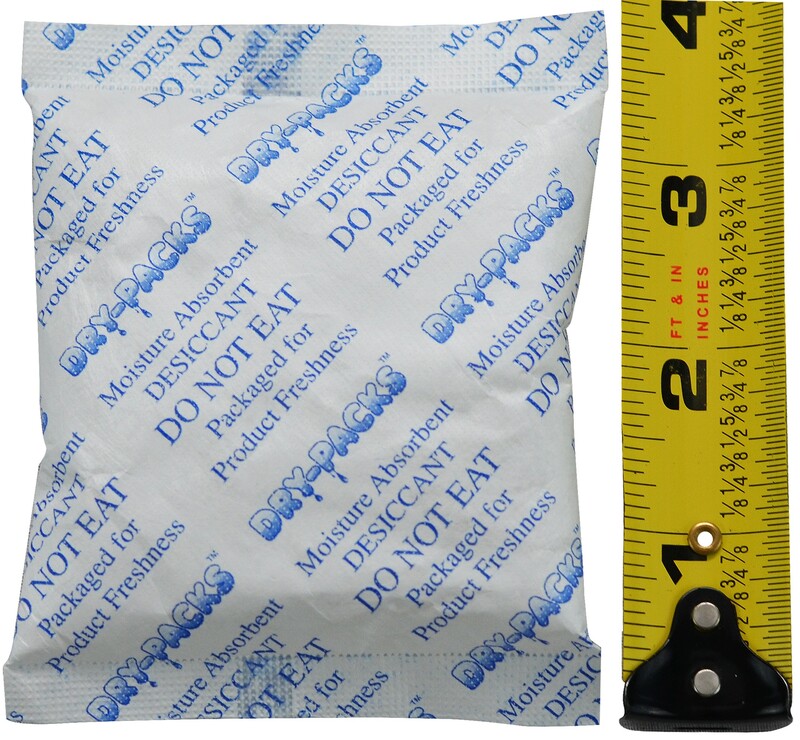 The 56 gram silica gel packets weigh 56 grams, and dimensions are 3 3/4" in length and 3 1/4" in width.